We all get to go to Bloggy events occasionally. Sometimes we go for the venue, sometimes to see our peers/bloggy mates, and sometimes for the goodie bag. 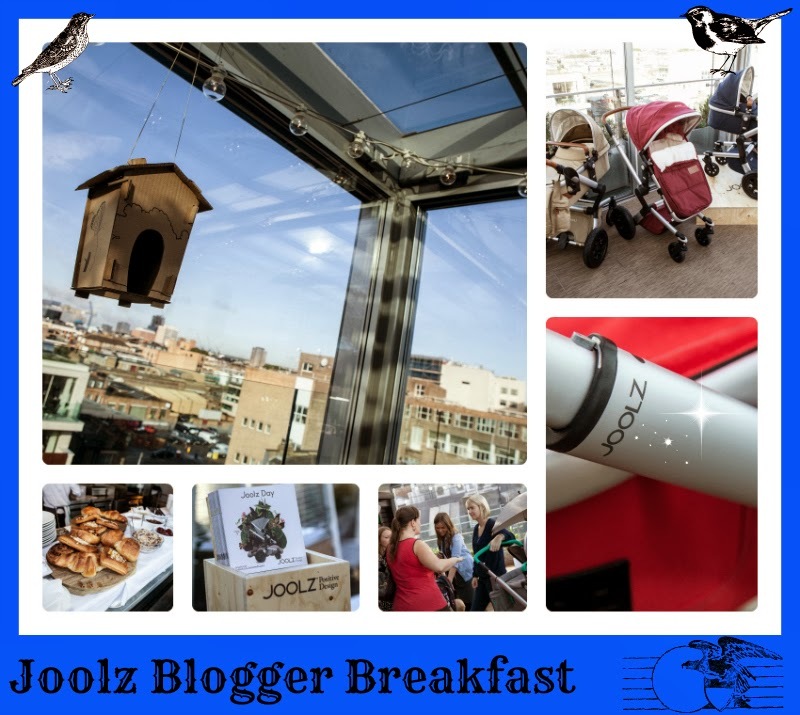 Well I went to a Joolz blogger breakfast, on 17th October a few weeks ago (eeek it has taken me a month to get chance to blog about it!). I didn't yet know Kip, Ruth or AK that well, although I briefly met Kip and AK at a Kiddicare Focus Group on 18th September. I had never heard of the venue. Didn't know if there would be a goodie bag (we were given a FABULOUS nappy changing bag and a bar of chocolate which I inhaled *cough*), and wasn't confident travel (£15) would be reimbursed (as of going to press it hasn't been as of yet). But I went to see the buggies and boy am I glad that I did. THIS is the first time being in the company of buggies has quite literally made me drool. The venue: The Boundary Rooftop was SPECTACULAR! It was a glorious sunny day, despite being October. I was able to wear that sleeveless dress! It was great chatting to the Joolz team. The product originates from Denmark and it shows in the slick design - very European. 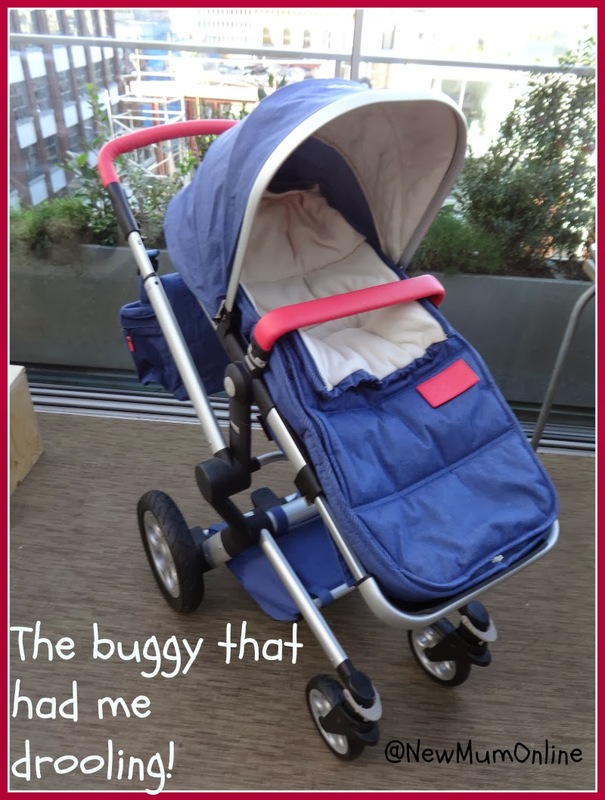 If I had my time again (which I hope to do with a 2nd baby), funds permitting, this will certainly be my buggy of choice. It was lovely getting to know Ruth and AK more and I've seen Ruth again since then at the #GoogleMums event! It has to be said that Ruth and AK are incredibly passionate about buggies. As for me, I'll have a break until number 2 does or doesn't come along as Aaron's ALWAYS on his balance bike. See, sometimes it's worth going to all sorts of bloggy events. Often just for an opportunity to get out and about. For the morning I was in buggy heaven.